3D City Models are a standard model and mechanism for describing 3D objects with respect to their geometry, topology, semantics and appearance, and defines five different levels of detail. Included are also generalization hierarchies between thematic classes, aggregations, relations between objects, and spatial properties. 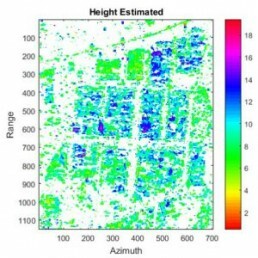 It is highly scalable and datasets can include different urban entities supporting the general trend toward modelling not only individual buildings but also whole sites, districts, cities, regions, and countries. SkyMap Global in partnership with virtual city systems provides a platform for 3D SDI which uses CityGML formats for using City models and mechanism for describing 3D objects with respect to their geometry, topology, semantics and appearance. 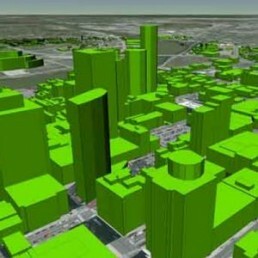 SkyMap can provide customised solution for the 3D city GML. This solution helps in bridging Urban Information Models with Building Information Models (BIM) to improve interoperability among information systems used in the design, construction, ownership and operation of buildings and capital projects. A member of our team will contact you for clarification, following which you will receive your free image preview within 2 working days.